In the time it takes you to prepare that boring, eaten-it-a-thousand-times bowl of romaine or iceberg lettuce, you can whip up this zesty and flavorful arugula salad, topped with fresh cheese and pine nuts, and leave those boring, tired greens far behind! Arugula has grown in popularity in recent years, partly for its zesty flavor, but also for its undeniable health benefits. Loaded with antioxidants and vitamins C, A and K, you might just ditch iceberg and romaine and never look back. 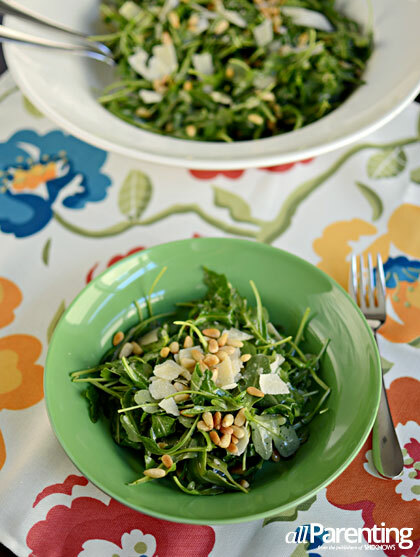 The peppery flavor of the arugula in this salad is enhanced by the hint of Dijon mustard in the Champagne vinaigrette and balanced nicely by the nuttiness in the Parmesan and pine nuts. 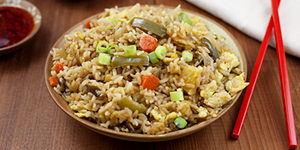 Taste for flavor and add more salt and pepper to taste. 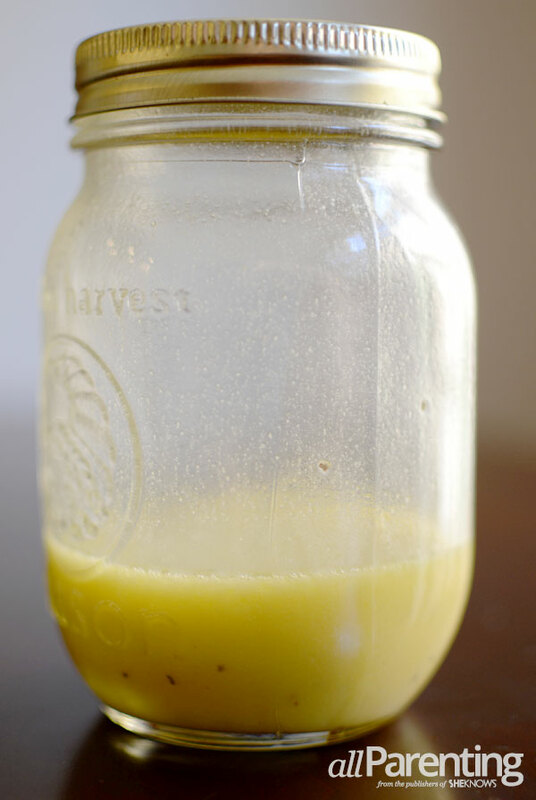 Refrigerate any remaining dressing in an airtight container for up to 2-3 days. 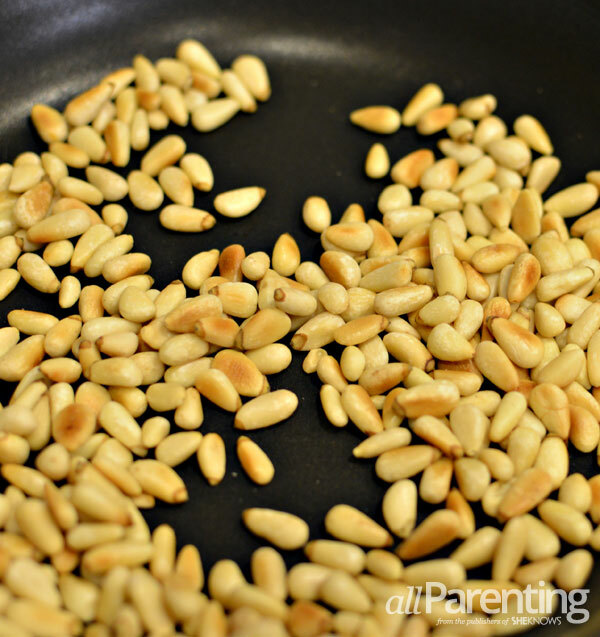 Toast the pine nuts in a small saute pan over medium heat just until golden brown. Be sure to keep a close eye on these as they toast, as they can quickly scorch and become bitter. Once toasted, set pine nuts aside to cool completely. Place rinsed and dried arugula, half of the cooled pine nuts and half of the shaved Parmesan in a large salad bowl. Drizzle with Champagne vinaigrette and toss thoroughly to coat. Divide into 4 bowls and divide remaining pine nuts and Parmesan evenly among the bowls.